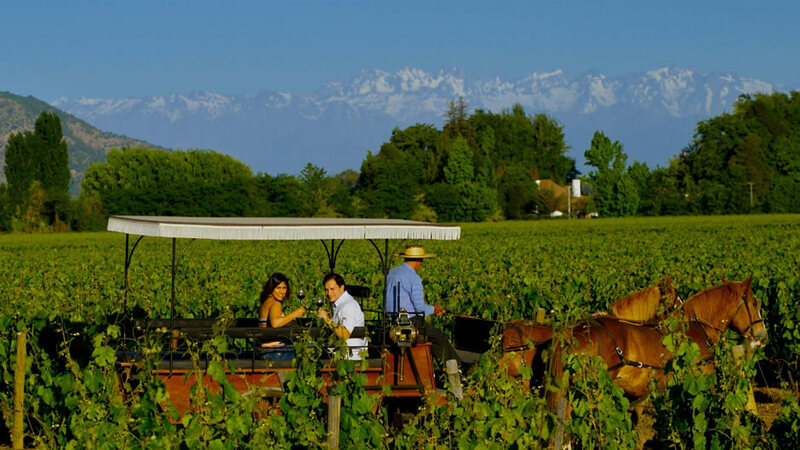 The Colchagua Valley 120 kilometers south of Santiago is located. Agricultural and wine vocation valley begins in the seventeenth century, when the King of Spain these fertile lands destined to farms for their most distinguished officers, resulting in the construction of wonderful mansions that remain until today. This valley was the first, in 1996 to develop the idea of the Wine Route to promote wine tourism. It is a narrow valley that stretches from the foot of the Andes to the Pacific Ocean. The vineyards are on the hillsides accompanied by warm microclimates but bathed with water from Tinguiririca and Colchagua rivers, providing excellent strains with outstanding red Cabernet Sauvignon, Merlot, Syrah, Carmenère and Malbec. Currently this valley has 20,000 hectares cultivated.